Discussion in 'Europe & Russia' started by Vergennes, Oct 16, 2017. French President Emmanuel Macron said Sunday that any undocumented foreigner who commits a crime will be deported, two weeks after a Tunisian man stabbed two women to death in southern Marseille. "We will take the most severe measures, we will do what we must do," Macron said in a televised interview. 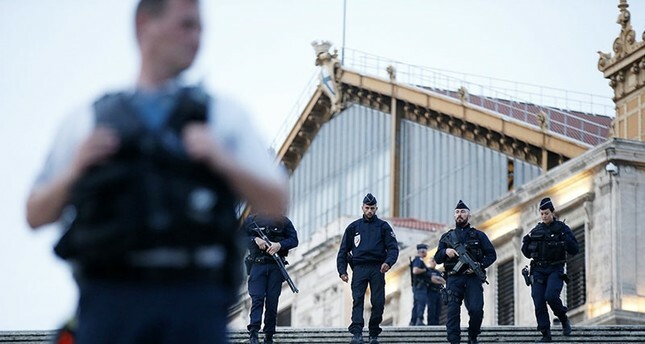 A 29-year-old Tunisian was shot dead after he had stabbed two women to death in front of the main train station in the French port city on October 1. The attack is believed to have been inspired by Daesh terrorists. The man had been released from police custody just the day before the attack even though he did not possess a residence permit. An investigation by Interior Minister Gerard Collomb revealed serious shortcomings in the deportation process in the prefecture of Lyon. Macron said that two high-ranking public servants had been disciplined as a result. Daesh terrorist group claimed the Marseille attack, but the background is still far from clear. Macron said on Sunday that it was impossible to have a society that was at zero risk from attack. Ghanta and sangos like this. France needs to get off its high horse of 'Utopian Human Rights' woowoo and remove salafi kebab asap. Shame that many foreign EU criminals can't be deported.